Filters for mounting in-line. Flow rates to 145 l/min. Working pressure 280 bar. 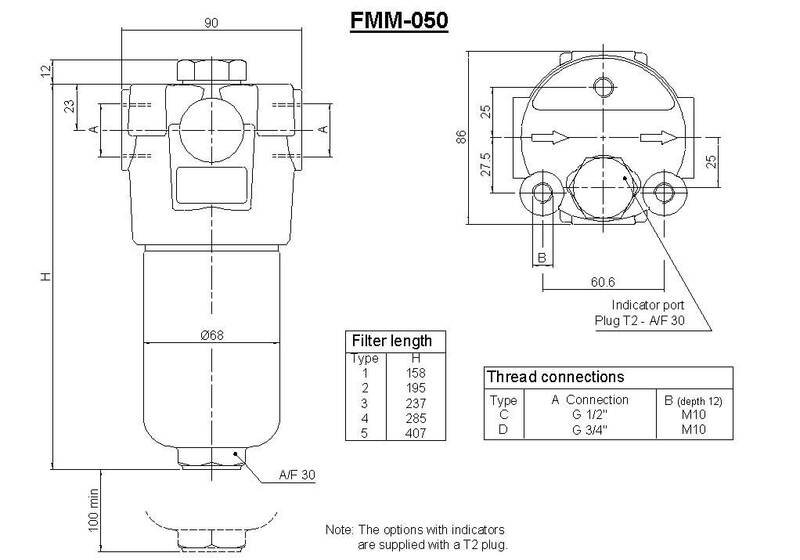 FMM-050 series filters are designed for high pressure applications, and are installed In-line. Specifically designed for Industrial and mobile applications, agricultural machinery, machine tools and transmission applications. 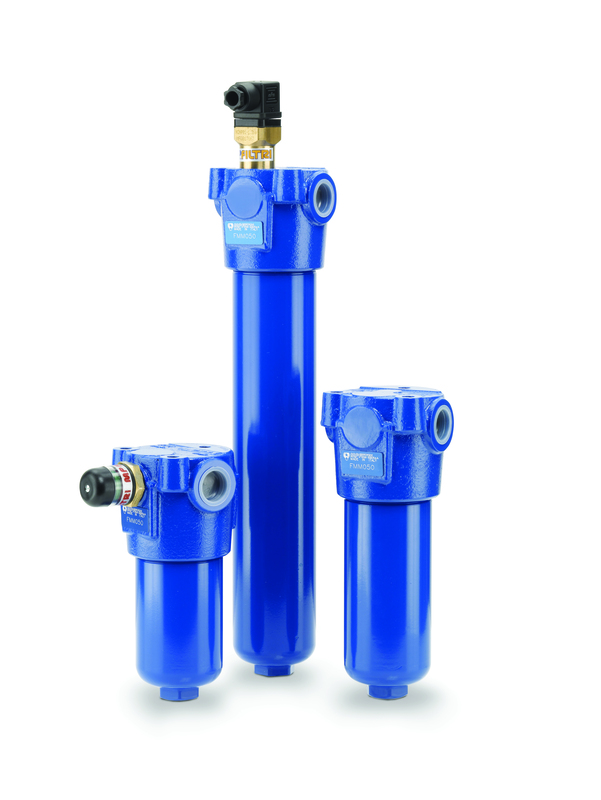 The FMM-050 series represents exceptional value for superior high pressure filtration in the 280 bar range. FMM-050 series filters are constructed of chemical heat treated cast iron and steel making them suitable for Mining and corrosive environments. The microfibre elements have superior dirt holding capacity and a beta ratio of bx © > 1000. The FMM-050 series filter utilizes the MP filtri range of differential indicators, available as Visual, Electrical or Visual/Electrical. Low cost, light weight and compact design. NB: Flow rates are based on oil with 30cst viscosity and pressure drop of filter assembly of 1.5 bar. string(80) "Filters for mounting in-line. Flow rates to 145 l/min. Working pressure 280 bar."